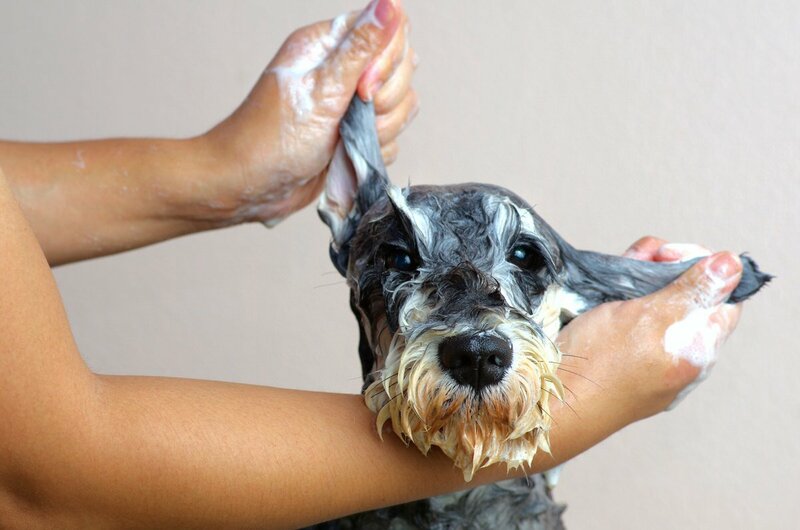 Apartment Pets: Try This Easy DIY Dog Shampoo - Planned Property Management, Inc.
Let’s be real: dogs can get smelly. Some tend to smell more than others, but all of them need a good bath on a semi-regular basis. Since our pups are part of the family, we like to be mindful of what we put on their bodies the same way we look out for ourselves. It’s important not to use human products on animals, as they can contain chemicals that aren’t safe for them. 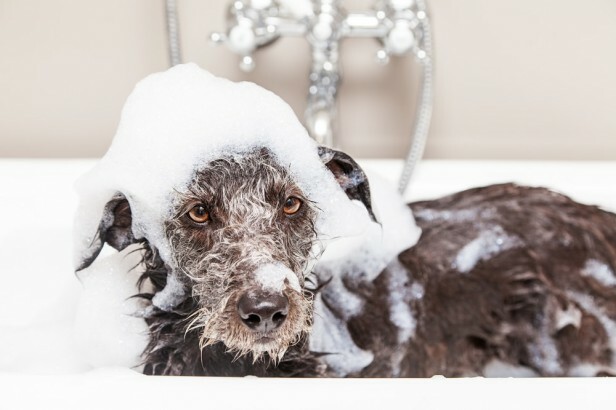 That’s why this DIY dog shampoo from the American Kennel Club is so great–you’ll know exactly what’s in it, so you won’t have to worry about any unsafe toxins or additives. It’s made up of household items you probably already have, and you can make it all-natural if you go with natural dish detergent. Oh, and you’ll probably save some money by using it, too. Add dish soap, vinegar, and water to a spray bottle. Shake it up and mix well. Start by getting your dog in the tub. Wet his coat with warm water, then spray the homemade dog shampoo on his fur. Massage the shampoo into his coat and create a good lather. Be sure to avoid his eyes. After you’ve scrubbed him thoroughly, rinse well and repeat if necessary. Use a towel to dry his fur off.